Running a local café or deli in Bury, Ramsbottom, Heywood or Prestwich? Want to save money and increase your margins? Fed up of your regular trek to collect from the cash and carry or supermarket? Dunsters Farm offers a collect service from their purpose-built depot at Waterfold Park in Bury. You can find us next door to the Village Hotel, just behind the Waterfold Farm pub. If you haven’t heard of Dunsters Farm, we are a family run, independent food service that is Bury born and bred. From our beginnings as a milk round in Brandlesholme, to our days in Tottington, you can now find us open from 6am at Waterfold Park at Heap Bridge. Although our name may suggest that we are a working farm, you won’t find any chickens or cows when you arrive, you will however find lots of top quality products at great prices. 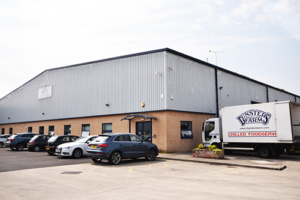 You may have seen our vans around Bury and may have heard of our delicious Dunsters Farm yogurt, but pop down and you will see our wide range of catering and retail products we have on offer. From Mozzarella to Tinned Mushrooms, Chickpeas to Coca Cola, we have a fantastic range for local café and deli owners to take advantage of, and we’re right on your doorstep! 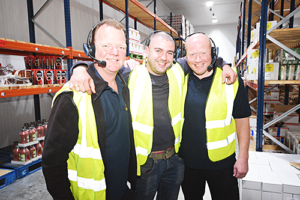 We know that the price is important so we work hard to help our customers maintain a strong margin. We work with our suppliers throughout the year to offer seasonal promotions and one- off deals to support our customers. Challenge us to beat the price you’re currently paying at the cash carry and see how much we could help you save. Our reputation is built on quality. We know that our customers value the quality of the products we offer. We are well known for our quality cooked meats and dairy products and have recently extended our range to include some popular big brand names as well as our popular Dunsters Farm own label products. We’re proud of our heritage and our Bury roots and know that our customers value our experience in the food service industry. Dunsters Farm has been an established food service for over 50 years so whether you’re just starting out or have been in business for years, we are sure to be able to assist you in sourcing the products you need. Dunsters Farm may have been going a long time but we don’t stand still. We’re always on the look-out for the next big trend in food and add new lines to our product range weekly. We provide customers with a free copy of our bi-monthly Just Added magazine to keep you up to date with all the latest additions! Not enough hours in the day? We know the feeling! That’s why our Collect service is really flexible. Order online or over the phone during the day, and we’ll have your order picked and ready to collect within the hour. Or if you’d rather order in the evening or at the weekend, you can use our online ordering site and choose your collection day to suit you. 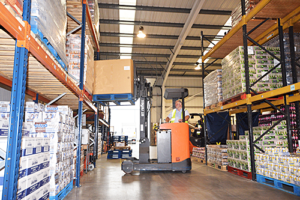 If the thought of pushing a trolley through the cash and carry or the supermarket fills you with dread, you will be pleasantly surprised by the hassle-free collection service at Dunsters Farm. With free on-site parking, simply park up and visit Karen on Reception to collect your order. If you have ordered in advance, your order will be ready to be loaded into your vehicle. However, if you would like to order on arrival, take advantage of a free brew whilst you wait for your order to be picked and loaded for you. Payment is just as easy – we accept cash or card (including apple pay). Want to pop in after you’ve picked the kids up from school? Not a problem. Want to collect your order before you head into work on a Monday morning? We’ll be ready. Forgotten something and need it urgently, just give us a call between 8am – 4pm Monday to Friday and we’ll get it picked within the hour for you. Not only do we offer great prices to our collection customers, we also have special promotions just for you. Give Dunsters Farm a call on 0161 763 7900 to find out the latest promotions or pop in to pick up a flyer. We’re only a small team down at Dunsters Farm so you’ll soon be on first name terms with the Collection team. There’s always someone around to around to answer your questions whether you pop in early in the morning or after work. We know that things change and not everything always goes to plan! So, we are flexible as we can be to meet your needs. Already placed your order but want to add on when you arrive? Not a problem, just let a member of staff know and they will get this sorted for you. If you would like to set up a Collection Account or would like to find out more information, please give Karen a call on 0161 763 7900 or email sales@dunstersfarm.com.